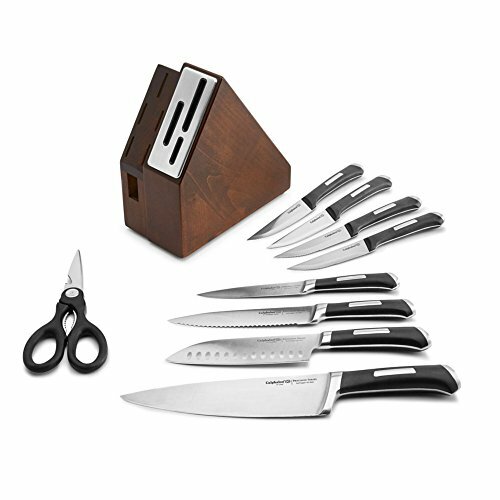 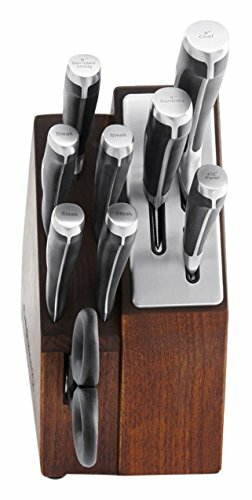 Featuring Self-Sharpening technology, this space-saving Calphalon precision SharpIN cutlery set was designed to conserve counter-top space and features a block with built-in sharpeners that automatically sharpen straight edge knives with every use. 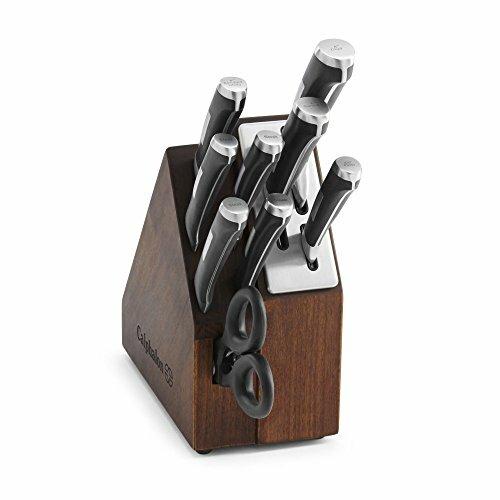 Knives are crafted from premium materials with a fully forged blade, bolster and tang, and use high-carbon, no-stain German steel for life-long durability. 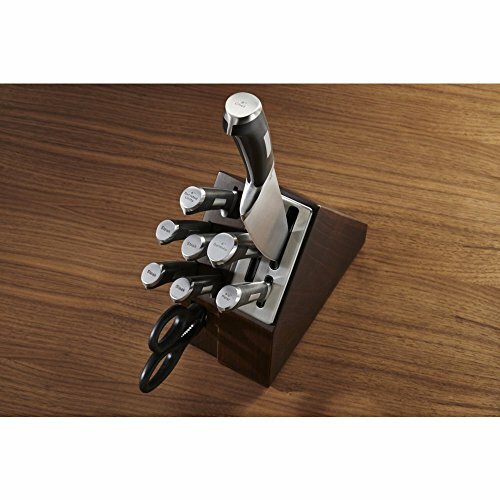 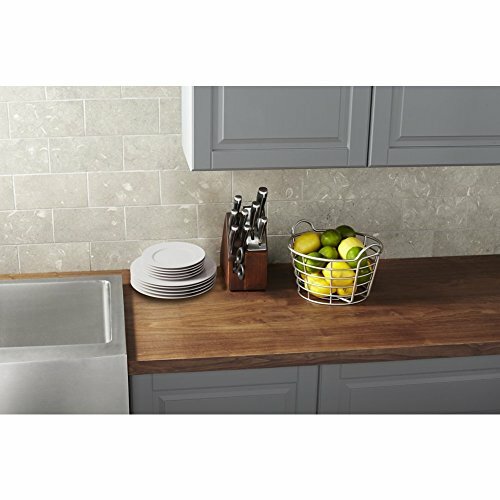 Handles are comfortably balanced and.